Beautiful views from this ideally situated home, nestled at the end of the cul-de-sac on a 14,495 sq ft lot, providing privacy and a peaceful setting. Indian Hills, a 55+ Community within the gated San Luis Bay Estates, features access to the pool, spa, tennis courts and club house. 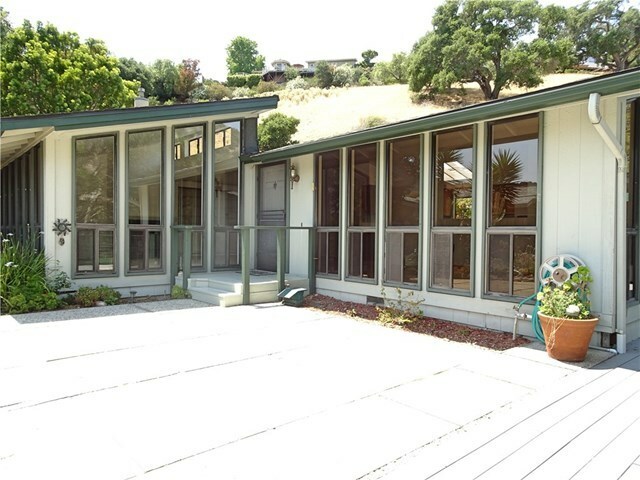 The garden like entrance with lush landscaping, leads to the new deck overlooking the hills of Avila Beach. Offering over 2000 sq ft of living space and featuring hardwood floors, vaulted ceilings, skylights and plenty of windows to bring in the natural light. The open and inviting floor plan includes a family style kitchen area with breakfast bar seating, opening to the dining area, living room and family room featuring a gas fireplace. Two bedrooms including the spacious master suite with office/sitting area, a large laundry room with ample space for crafts or small office. Separate bonus room with views of the valley off the deck, can be utilized as an additional guest room, office, retreat, or a myriad of other living space options. Spacious 2 car garage with additional storage. Wonderful opportunity to enjoy the Avila Beach lifestyle including hiking, biking wine tasting and fabulous weather.